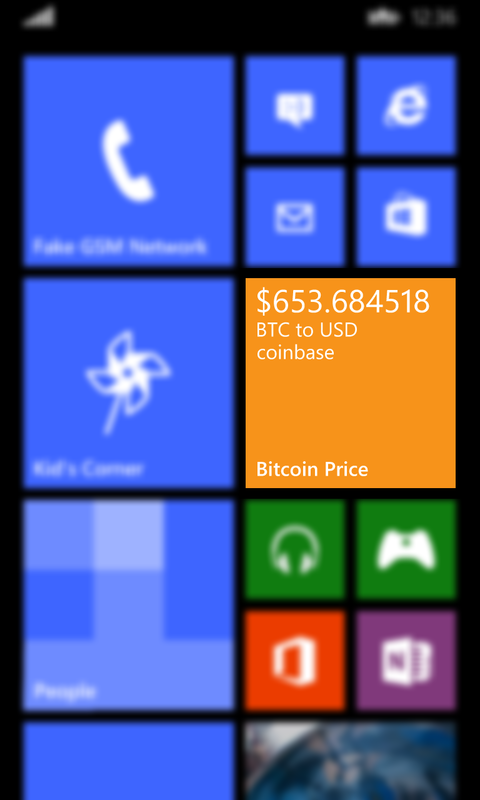 The Bitcoin Price live tile app is exactly what the name implies. 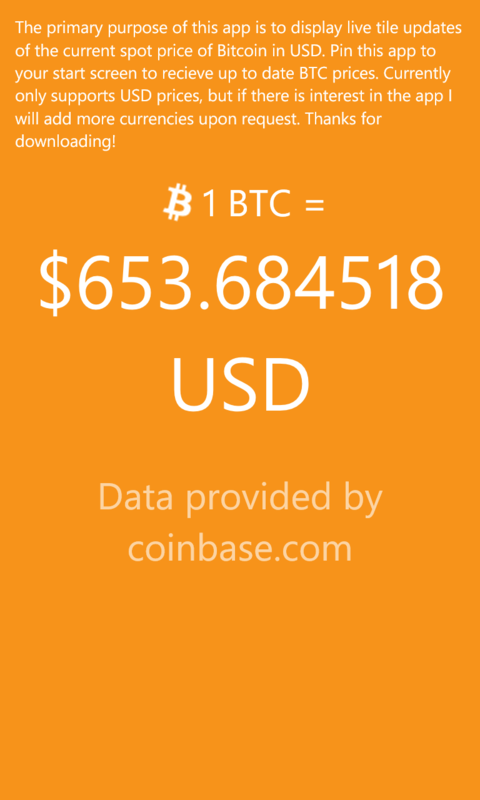 Pin the app to your start screen to get up to date live updates of the current spot price of Bitcoin in United States Dollars USD or Euros EUR. 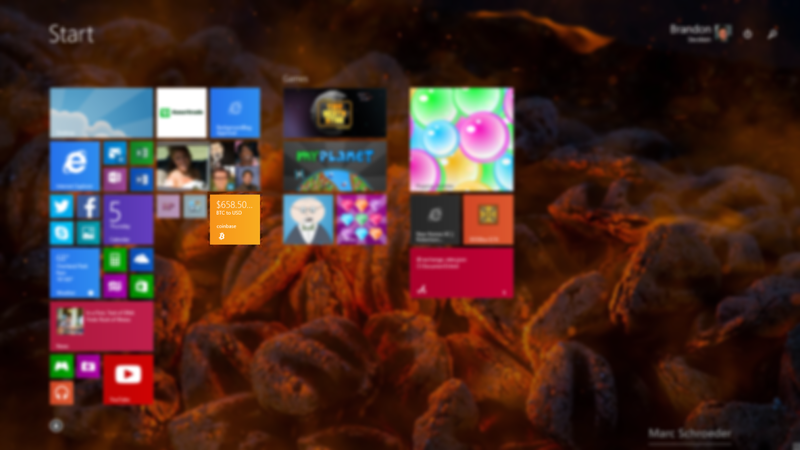 I created this app because I wanted this functionality on my own device and could not find an alternative app in the store. If you like this concept and would like to see more features and currencies added, please leave the suggestions in the store comments and I will make updates upon request.